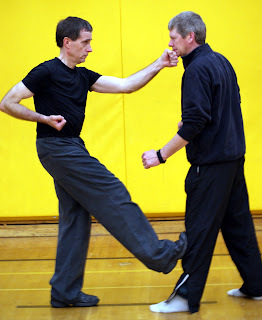 hen I first learned the famous Kung Fu routine called Tan Tui (spring legs), I was impressed by its logic of kicking and striking…simultaneously. Tan Tui is usually practised either as a 10 or 12 segment routine. My teacher taught me the 12 segment version. 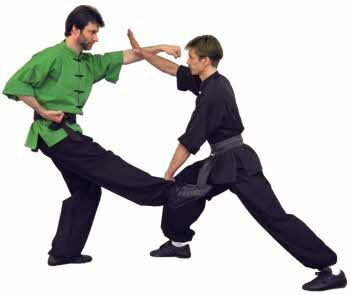 Each segment contains a group of self defense movements – and each group of movements is performed 3 times in one segment. 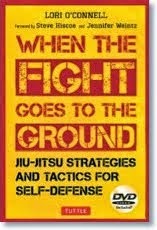 It was just after I learned the opening of the 2nd segment that I woke up to both the practicality – and the sophistication – of Tan Tui as a method of self defense. Right after the opening, you perform a right reverse punch. That punch is followed by a combined left high punch and a right front kick. In classical Tan Tui, the kick is aimed low to the legs. So you see, there is a wide spread from the high punch to the low kick, making the combined movement difficult for the opponent to block. In the early 1970s, I used to teach a few students in a park in Toronto. I taught Tan Tui to one of them. Weeks later, he was attacked…at a wedding. He defended himself with this punch-kick combination knocking the attacker backward across a table. 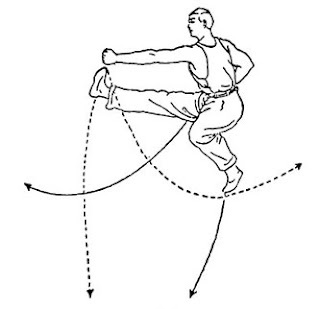 Punch high with the left hand, kick low with the right leg. the usual punch where the palm faces the floor. 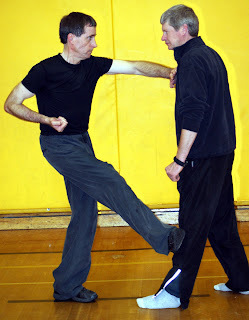 ﻿﻿ I always try to include simultaneous kicking and punching in my self defense classes – with one change. I substitute an open palm for a punch. 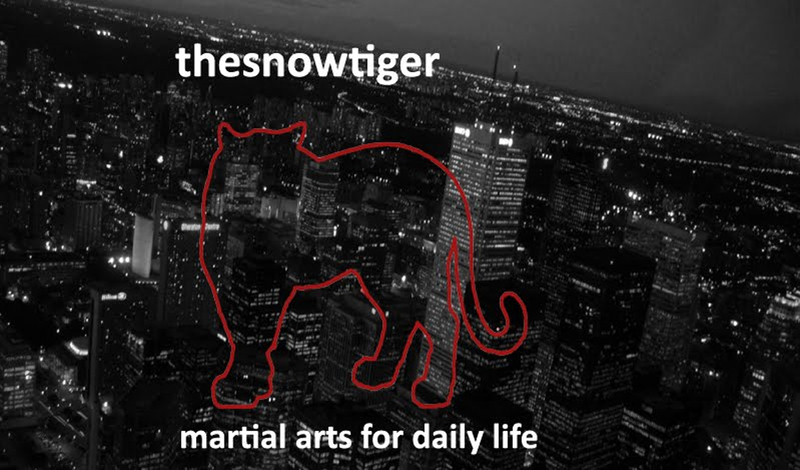 A palm strike is safer for the hands of a non-martial artist. Also, a punch requires practise. The type of palm strike can vary. For example, you can strike upward under the chin with the base of the palm or strike – as in the photo above – with the palm turned sideways. As you can see in the same photo, you can also kick with either the bottom of the foot or the inside edge of the foot. ﻿ Tan Tui is practised throughout the world. For anyone interested in personal safety, Tan Tui has an extensive repertoire of self defense strategies and techniques!